An estimated 1,200 people have sought unemployment benefits in the Joplin, Mo. area after their workplaces were damaged or destroyed by a deadly tornado two months ago, according to the local chamber of commerce. JEFFERSON CITY, Mo. 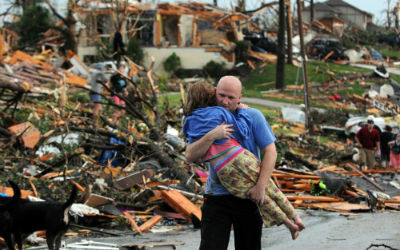 (AP) — An estimated 1,200 people have sought unemployment benefits in the Joplin, Mo. area after their workplaces were damaged or destroyed by a deadly tornado two months ago, according to the local chamber of commerce.